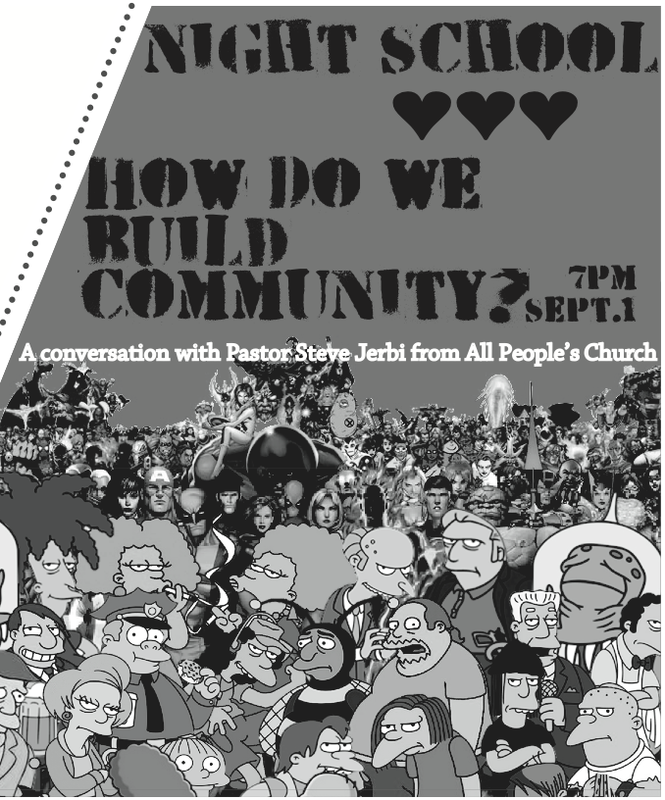 Steve Jerbi, pastor at All People’s Church, will be leading a discussion on how we, as people, can help each other and ourselves build community. The event is free and open to the public (21+ unless accompanied by a parent), and comes on the heels of an uptick in crime in our neighborhood. Timing aside, the reason this event came to be was because somebody asked for it on our “Writing On The Wall” workshop at our Annual General Meeting last June. Please join us. This event was originally scheduled for Sept 1, but has been moved to Sept 8th.